The SUV has become the staple for the Canadian family and every month it seems like we see more of them on the roads. For Chevrolet this trend has resulted in increased sales of their small SUV the Equinox. In fact the Equinox is the second only to the Silverado pickup truck in terms of total North American sales. Whenever the time comes to revisit the design or packaging of such successful products those responsible for making the final decisions carry a heavy burden of responsibility. Get it right and you could win over new buyers, but make a mistake and the customers will abandon the brand like a sinking ship. 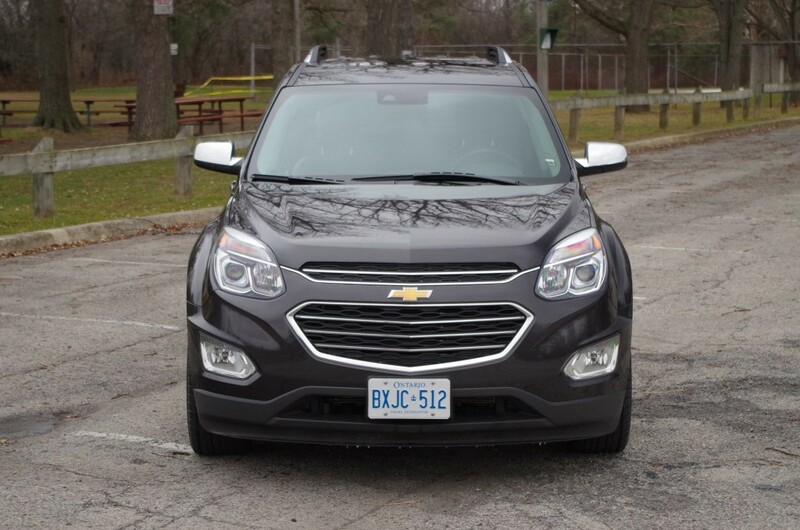 I recently spent some time acquainting myself with the refreshed 2016 Chevrolet Equinox LTZ AWD. This is the top of a new 3 trim level structure- LS, LT and LTZ. In a wise move to win over buyers the head honcho’s have chosen to increase the appeal of the model by adding to the standard equipment offered at all levels. 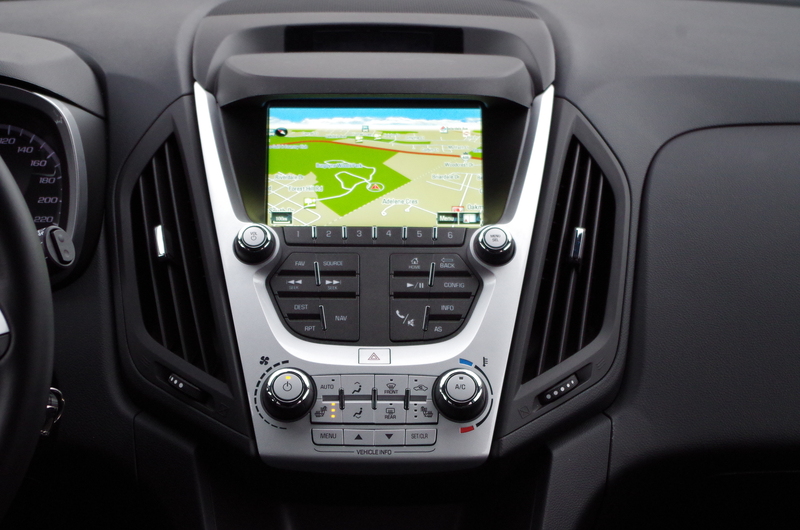 For example all models now include a 7” touchscreen with revised graphics, Bluetooth phone connectivity and a rear-view camera. While the base model will not stream music from your phone, the focus the company has placed in providing a safe vehicle is easy to see. I also have to give Chevrolet credit for allowing the consumer to select AWD at all trim levels, rather than forcing them to spend many thousands more for higher trim levels just for the extra security it provides; I wish all manufacturers would follow suit. 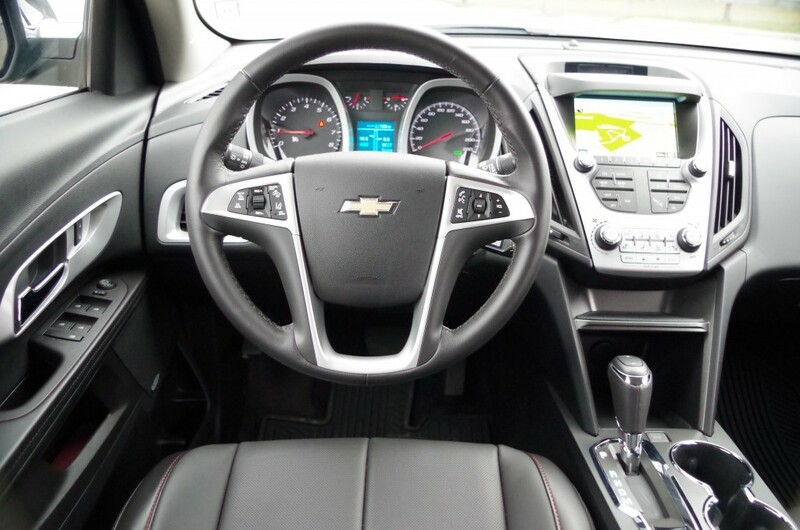 The LTZ AWD model I drove featured all of the optional technology packages. First off is the $1,250 Driver Confidence package. It includes Forward collision alert, Lane departure alert, Side blind spot alert, rear cross traffic alert and rear park assist. This is one package that is worth the money. The system provides the alerts visually from a small display on top of the centre of the dash board. It shows a green car when you are driving safely and a red depiction of the accident you are about to have if, for example, the system feels you are following too closely. The sudden and unexpected appearance of the red warning light in the dash at first confused me as I was not sure what it was referring to, and nothing seemed to be wrong with neither the vehicle nor my driving. 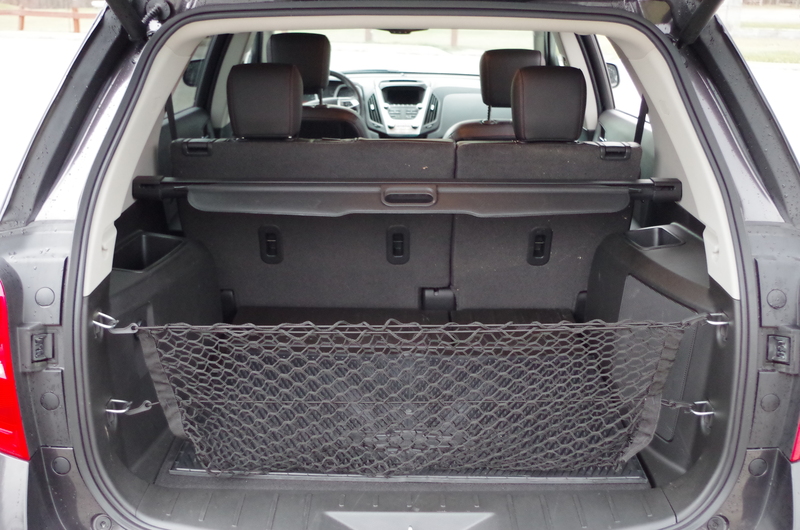 The $260 Interior Protection package which delivers rubber floor mats and a cargo mat was also included. I liked how the cargo mat prevented objects from sliding about, however I would personally go aftermarket and save a few hundred dollars. The interior is typical GM, some nice materials mixed with some cheaper surfaces that leave a good overall impression. 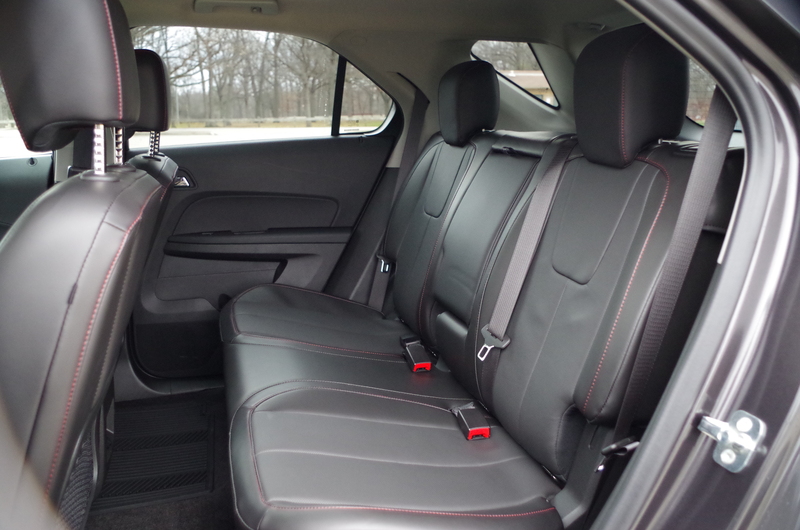 The heated leather front seats are quite comfy and the 8-way adjustability means they should fit anyone. The rear seats are also nice with enough legroom for adults and their ability to tilt and slide provides even more comfort and convenience. The interior redesign included some extra storage space such as the new centre stack shelf. A vast compartment below the front centre armrest and the multi-tiered door panels give you numerous storage options. The Equinox is actually a very family friendly unit with lots storage space. Behind the rear seats is an ample 889L (31.4 cu ft) of cargo space, but with the rear seats folded this expands to an impressive 1,803L (63.7 cu ft). While hauling drywall may be a stretch you could certainly fit several bicycles in there. The top trim LTZ I drove did not use the direct injected 301 horsepower 3.6L V-6 powerhouse. Sadly it was hampered by the standard 2.4L Ecotec 4 cylinder. 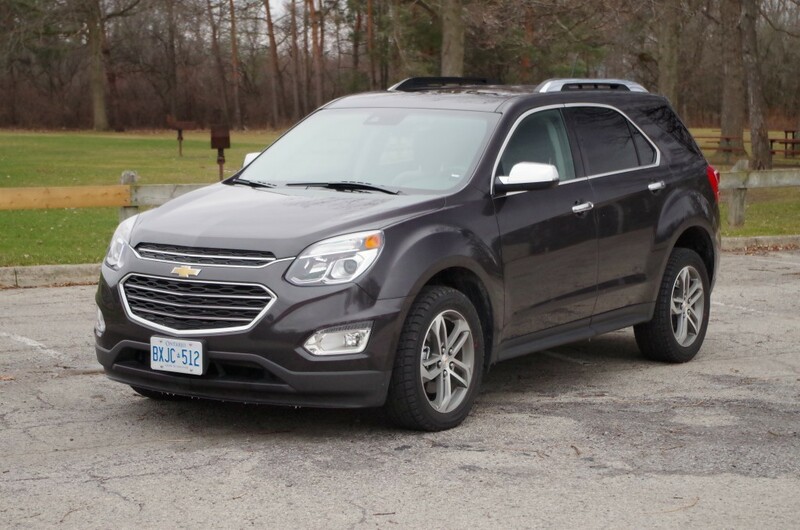 Developing just 182 horsepower and 172 lb-ft, the base engine felt overwhelmed by the task of hauling the 1,781 kg Equinox around. I often found myself having to fully depress the throttle just to keep up with traffic and I needed every meter of the on ramps to get up to highway speeds. The struggling engine revs high and is rather noisy under heavy loads, thankfully once up to pace the noise level is minimal and the ride is smooth. Having to be hard on the throttle means the fuel consumption suffers. 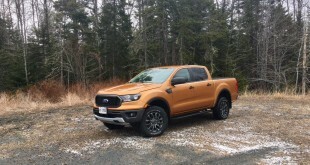 I was only able to average 10.6 L/100 km of mostly highway driving, which not as good as the official numbers (11.5 city, 8.2 highway) led me to expect. I suspect the V-6 is the better option, as the higher torque developed will eliminate the need for full throttle acceleration. The 6 also has the added privilege of being one of the segments most powerful; never a bad thing to brag about to the neighbour. The handling is exactly average for an SUV. On the road it feels remarkably sedan like. The ride is comfortable but get too frisky and you will be met with all manner of unpleasant motions. 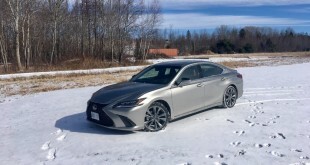 I will note the tester was fitted with winter tires which will have had some impact on my impressions. That said the suspension is most certainly focused on delivering a sedentary, smooth and motion sickness free trip for your family. 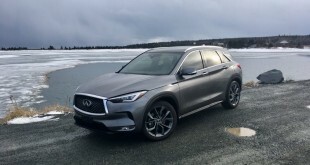 If you are looking for a sporty driving SUV you will need to shop elsewhere. The exterior has only received some minor alterations that serve to bring the SUV in line with the rest of the Chevrolet products. The most noticeable change is the new brand wide dual Port grille. Other upgrades like the new front and rear lighting and new wheel designs have enhanced the already handsome SUV. 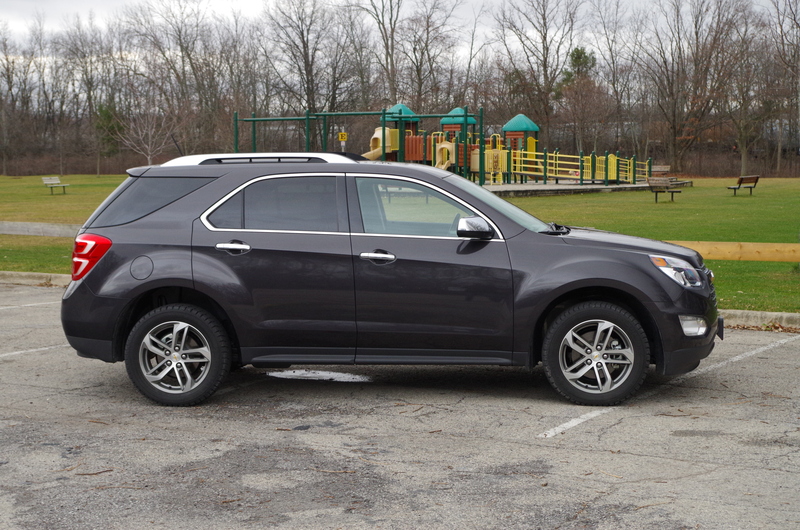 By not changing the structure the Equinox also benefits from the same high safety scores as the previous model year. 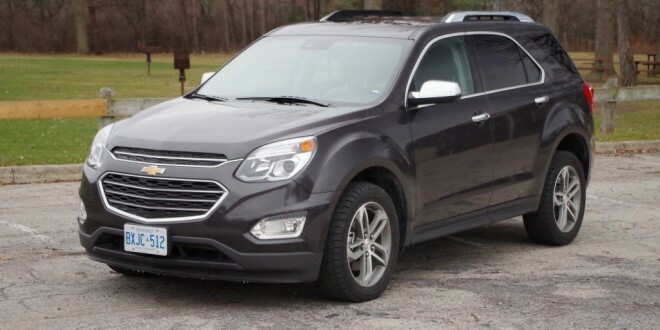 According to the IIHS (Insurance Institute for Highway Safety) the Equinox scored 4 and 5 star ratings in all tests, even the difficult frontal-overlap test. 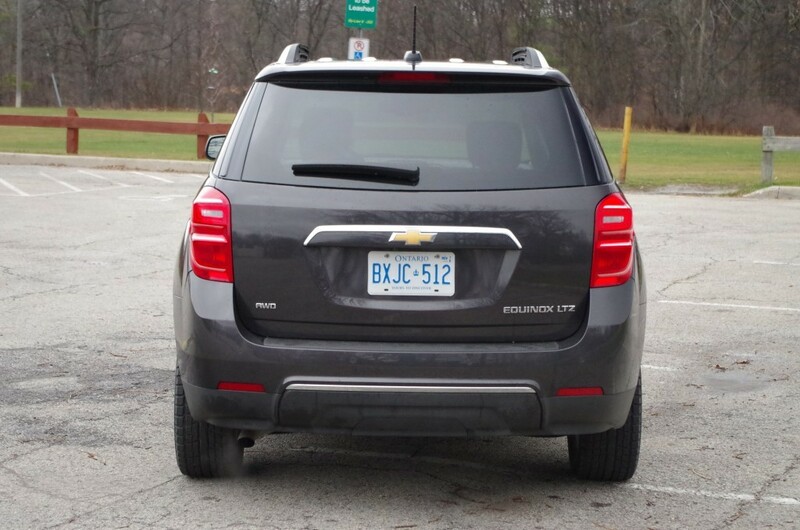 The Equinox continues to provide Canadian families with a useful combination of safety, packaging and above average space. By giving consumers exactly what they were looking for the 2016 Equinox continues to be a tough competitor in an increasingly demanding segment.